Ok, let me admit it. I have been lazy. I have not been hiking much. But I’ve got a good excuse: I’ve been travelling to Singapore, Khao Lak and Jodhpur. I had visitors in town and most annoyingly, the weather was pretty bad during the last weeks. 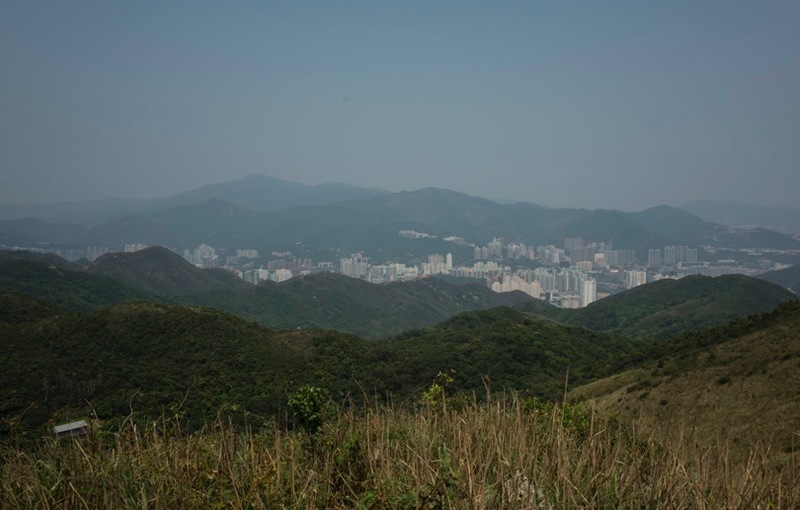 But enough excuses, I have managed to squeeze in a hike and I am happy that it was not my usual Quarry Bay to Tin Hau or Stanley to Parkview route, but something much more exciting. 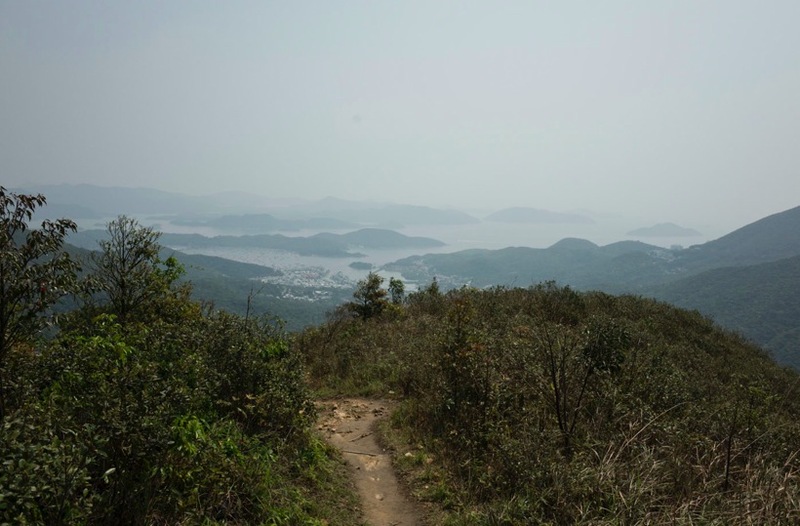 We covered a distance of 17km in about 5 hours (with a few short stops) and it was not the easiest hike – there were some steep parts and also a slippery, almost-bushwhacking part downhill – but it was fun! 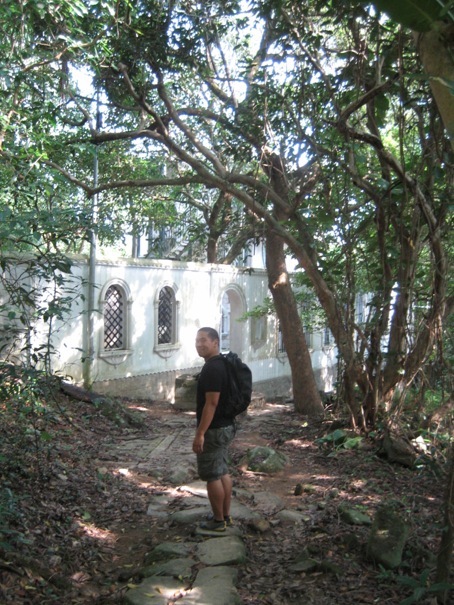 We started at Choi Hung MTR and took a minibus to Tseng Lan Shue bus stop on Clear Water Bay Road. From there we walked a short stroll through a village and we had to keep looking for the Wilson Trail signs, otherwise we ended up in someone’s vegetable patch or backyard. 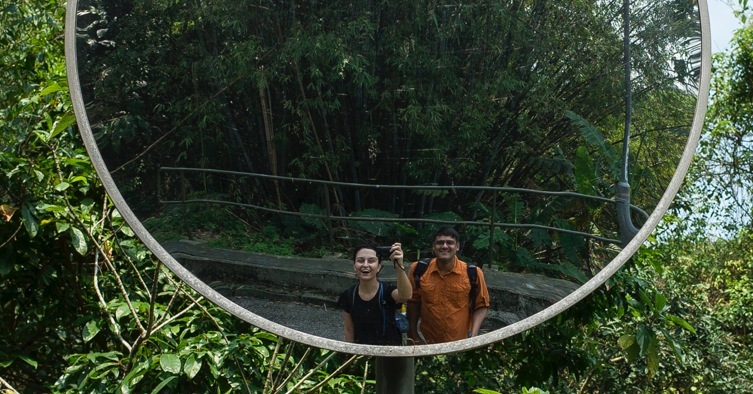 After 10 mins, the path went uphill and through a forest – we walked for 20 minutes until we reached an old house. 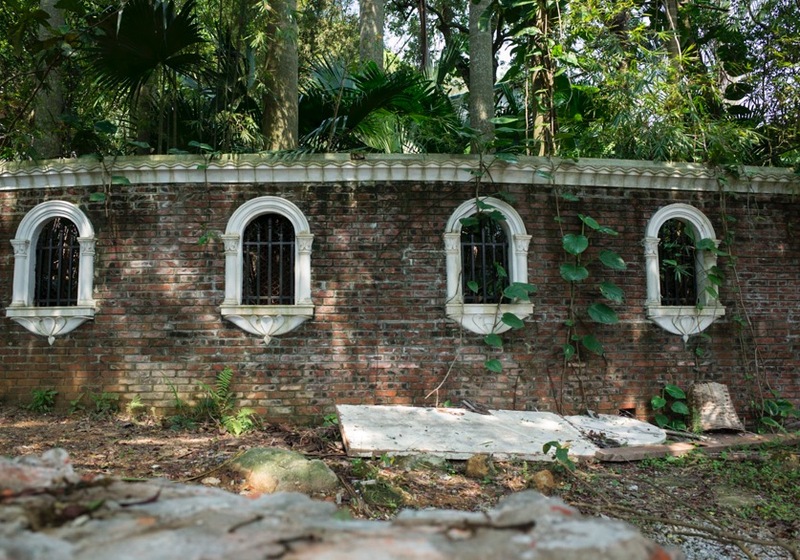 I was surprised, this used to be a ruin – it was abandoned half-finished with stained windows but nothing else. 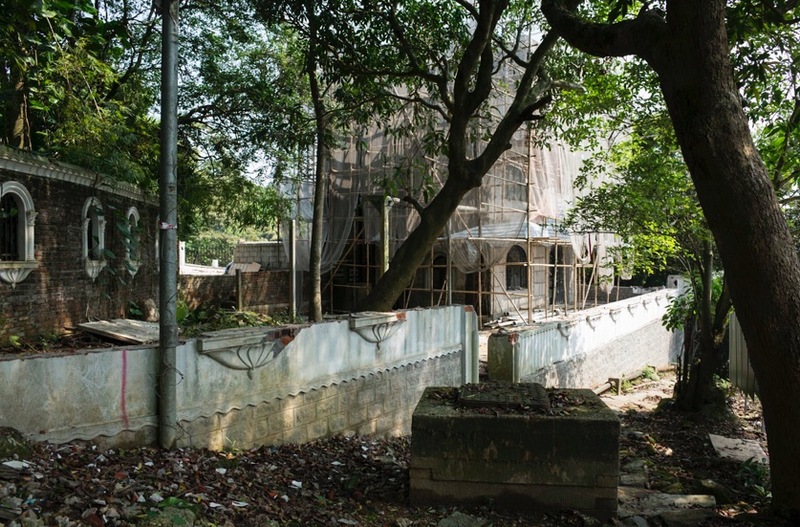 It is now being renovated. I wonder who is doing this and what the final result will be, maybe I need to come back in 6-7 months time? 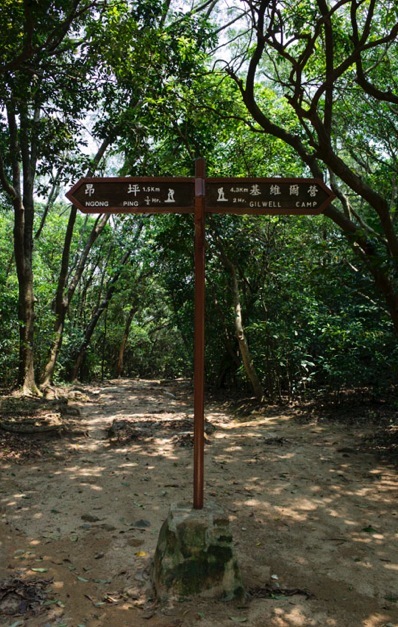 We walked downhill on the forest path until we hit Tai Lam Wu Road. We followed the road, passed some village houses and then the hardest part begins … a steep uphill climb on the Wilson Trail 4. The path opens up and suddenly we saw the marine panorama of Hebe Haven. It was a bit hazy, but the view was still nice! Once we reached the top, which was somewhere around marker 39, we left the Wilson trail. 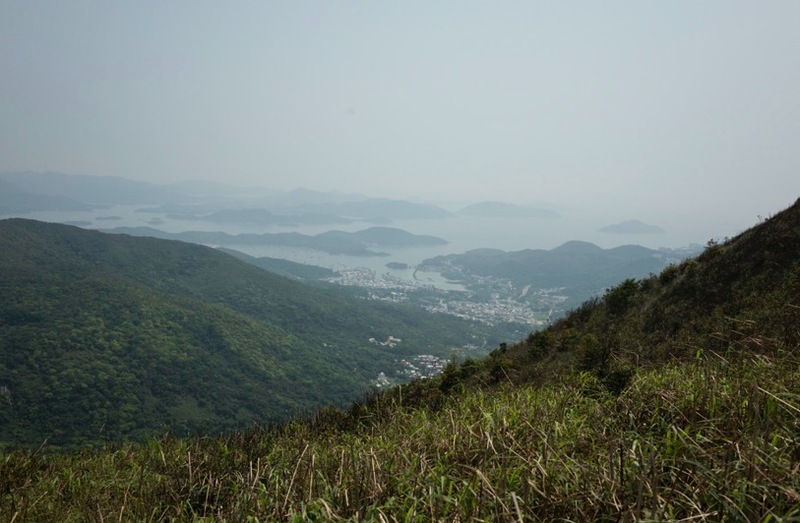 We turned right, and went up a hill to connect to the MacLehose trail. The downhill part was steep and slippery. 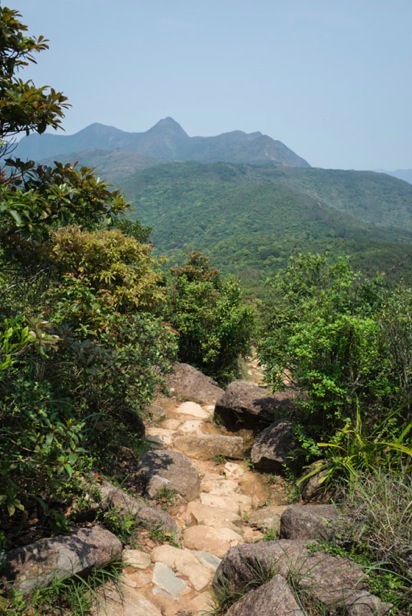 As Rik said in the hike description on Everytrail: “A better alternative would be to continue a little further (less than 5 minutes), hit the main road – Fei Ngo Shan Road, turn right and walk until the beginning of MacLehose Section 4 (near Gilwell Campsite). This would add another 1.2 km or so to the hike, but might actually save some time and would also be easier”. Oh well, maybe next time. We made it in the end! 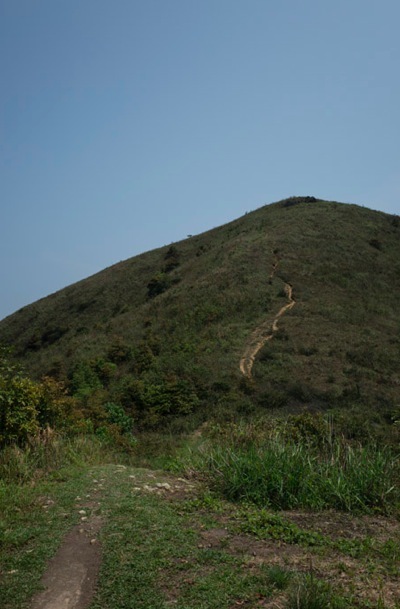 We joined MacLehose Trail at marker 93 and walked it backwards – first crossing the Buffalo Pass and then walking across the hills towards Ngong Ping and Pyramid Hill. 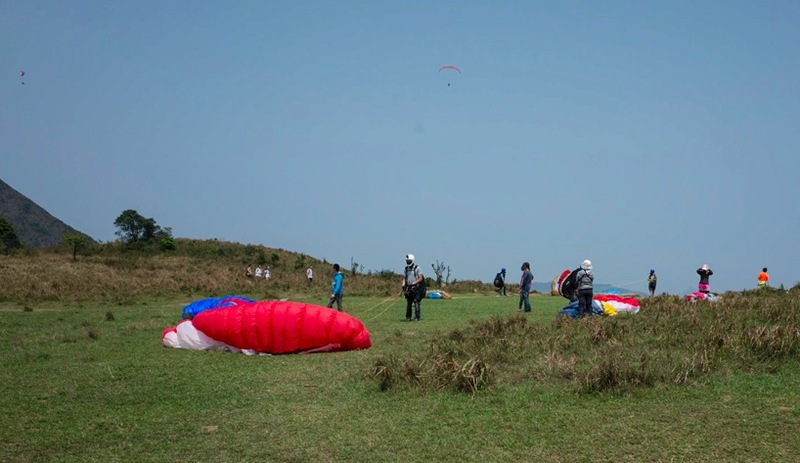 We followed the signs until we reached the base of Pyramid Hill – there’s a flat plateau and it is ideal for paragliding. We saw a few paragliders starting and landing there. 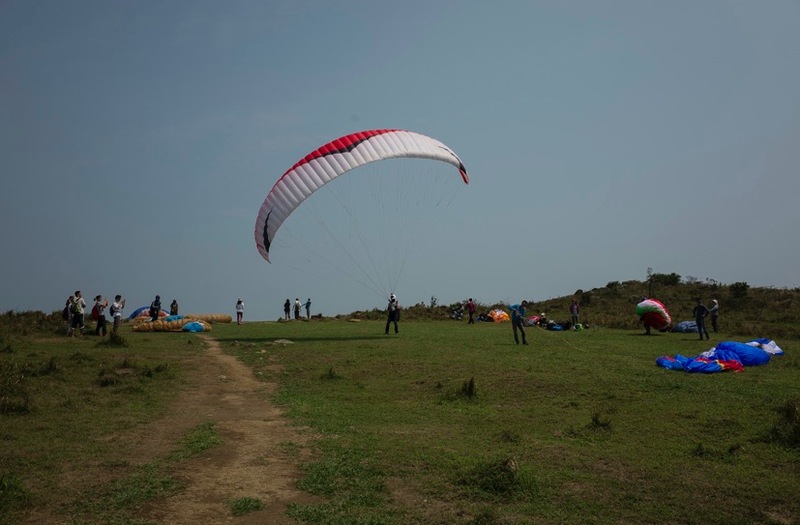 It was a busy day, there were quite a few paragliders and also a number of hikers – we watched them for a little bit, before we decided to part. 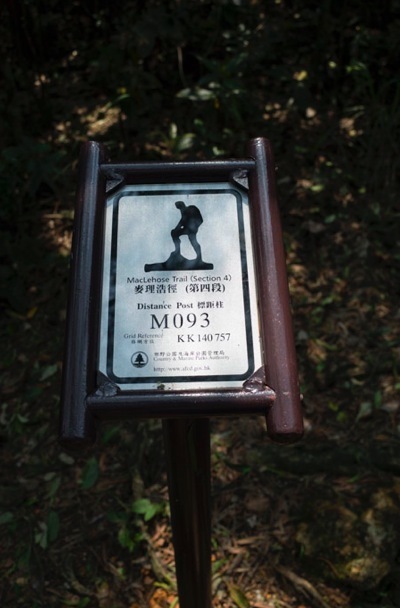 We left the MacLehose Trail around marker 82 and walked along the Country Trail. It was a 2km walk downhill on a paved road, until we made it to Ma On Shan station where we enjoyed a nice, late lunch.